Townsville’s reputation as a defence hub has been given a boost with crucial helicopter maintenance jobs coming to the city. The Minister for Defence Industry Christopher Pyne today announced that Boeing Defence Australia has been selected as the preferred supplier for the maintenance of Army’s new Chinook Foxtrot helicopters. Minister Pyne said the anticipated value of the contract is up to $20 million over five years from 1 January 2017 and will create 18 highly skilled jobs in Townsville. It will mean that Townsville will be the centre of all Chinook Foxtrot Helicopter maintenance. “This is great news for Townsville and the local area, investing over $20 million and creating aviation maintenance jobs,” Minister Pyne said. “These specialists will be employed in Townsville to work alongside soldier technicians on Army’s new sophisticated Chinook helicopters. 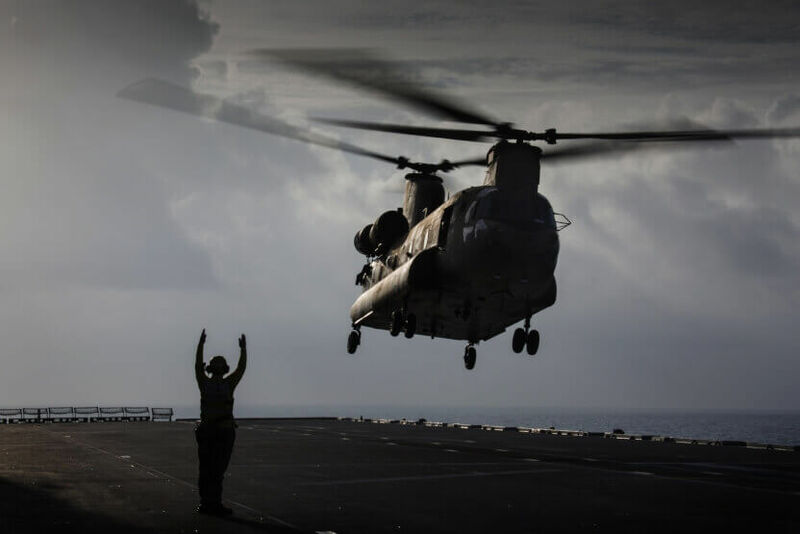 “The contract integrates defence industry and Australian Defence Force workforces to provide an efficient, flexible and effective maintenance team for Australia’s Chinook helicopter capability.